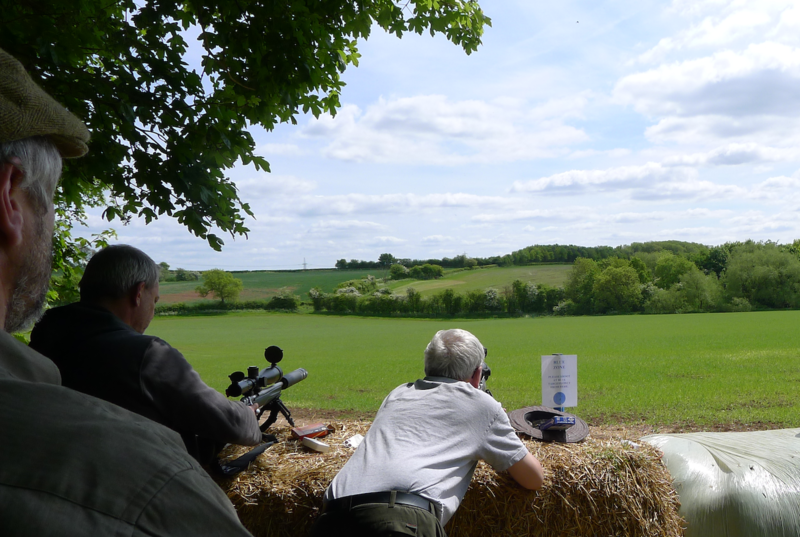 There are many ways of estimating the range to a target and with practice a shooter can become quite proficient at any or all of them. Many of us however prefer to be be lazy and allow a laser rangefinder to do the hard work for us. After all, they are used by the military, carry a hefty price tag in most cases and sport such illustrious brand names as “Leica”, “Swarovski” and “Bushnell” – so how can they not be perfect? Laser rangefinders work by sending a beam of laser light out to the target and then measuring how long it takes for that beam of light to be reflected back to a sensor. Though the basic principle utilised is the same for all brands, the quality of the laser, the optics, the sensor and the mathematical algorithms computing the distance can vary in quality and all the systems, no matter how high quality, are prone to errors arising from the simple (or not so simple) physics underlying the technique. Some of these errors are discussed below. Beam Divergence – In an ideal world, the laser beam would be very accurately collimated to produce a pencil thin beam of light. In reality, no system gives a perfectly collimated beam and so the laser light forms an expanding cone as it propagates towards the target. At some range, the area illuminated by this cone will be larger than the target and reflections will then start arriving back at the senor from points other than the target – ie, a nearby bush, the ground itself, a rock or a hill behind the target. What are you rangefinding on then ? There are numerous other errors that can affect rangefinders, but the above issues are generally the most significant. By all means use one, but apply some common sense when interpreting its readings.